MAH CET 2019: MAH CET is a state level management entrance exam. It offers admission to PG Management Courses MBA and MMS in the state Maharashtra universities/ Colleges. MAH CET is being conducted by the Directorate of Technical Education, Maharashtra. MAH CET Application form will be available through Online Mode in the month of January. 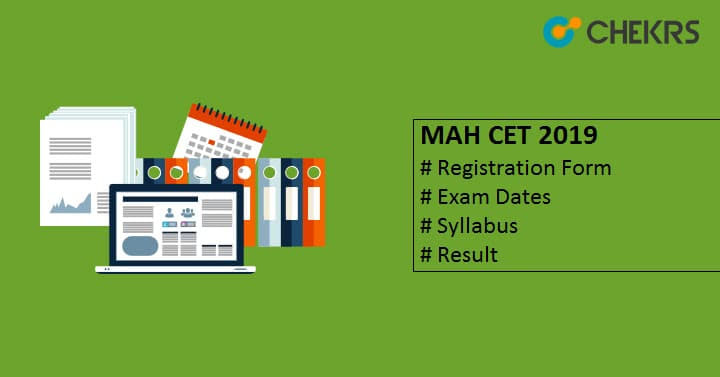 In this article, we will share information about MAH CET, Application form, MAH CET Dates and other events which will be there in the complete exam procedure. MAH CET Notification will be released at the end of 2018. Candidates can check the tentative MAH CET 2019 Dates, which are provided here. Mostly the MAH CET registration starts from the month of January so it will be probably the same. Eligibility Criteria help us to find our eligibility for the examination. Candidates are advised to check all the MAH CET Eligibility Criteria. Some of the basic ones are listed below. Passed 3 years UG Bachelor Degree by any of the universities recognized by UGC/AIU. Candidates Appearing in the final year examination of any Bachelor’s degree can also apply. The MAH CET Exam authority will release Application form in the month of January, Possibly in 2nd/ 3rd week. MAH CET Registration Form will be available through the online mode on the official website. Candidates have to upload all the required document like category certificate, ID proof, and enrolment certificate along with photograph and signature. The Registration form will be available until the second week of February 2019. First of all, candidates have to Visit the official website and do the registration there, With the registration process you will get login id and password, you will also need to enter some very basic details in this form. Now access and Apply Online for MAH CET Application Form and fill all the Personal, Academic and Contact details there. Also, Upload All the required documents on the prescribed area. Now Pay the Fee and Take a printout of Receipt and filled the MAH CET Application Form. Application Fee can be paid through online mode only. The MAH MBA/ MMS CET 2019 Application Fee details are given below. For Preparation, candidates will need every single information about the exam. MAH CET Exam Pattern will give all the basic details of the paper and the examination . The MAH CET Syllabus will be based on the UG level subjects. The syllabus will include topics from the subjects such as Logical/Abstract Reasoning, Quantitative Aptitude, Verbal Ability and Reading Comprehension. The authority will provide the complete syllabus on the official website. Solve and Practice MAH CET Previous Year Question Paper. Allot more time and devotion to weaker subject and topics. Make your own timetable and devote quality time towards learning. Make sure you get up and sleep early. Candidates need to Visit the official website and login there to get the MAH CET 2019 Hall Ticket. MAH CET Admit card will be released online on the official website in the month of February 2019. Admit Card will be also sent on the candidate’s Email id. The same admit card will be required at the examination center. So make sure to carry the Hall ticket with a Govt. Approved photo id to the examination center. Without Admit card Candidates will be not allowed for the Examination. The Answer Key is expected to be released in the 2nd week of December 2018. If a candidate can find any problem or objection in MAharashtra CET Answer key he/she can submit their objection with proper details to the exam authority in the 2nd/3rd week of December 2018. If the authority found the objection correct and meaningful l they will update the answer key and also the result. The MAH CET 2019 Result will be probably released in March 2019. Result will be released on the official website. To Check the result candidates have to login to the official website where there will be a link for result. Click on it and view and download the result. Authority will also prepare and release MAH CET Rank List which will be based on MAH CET 2019 Cutoff. Candidates with more than or equal to Cut-Off will be listed on the Rank List. Admission will be provided on the basis of Cutoff marks, Rank list, and Centralized Admission Process (CAP). The Centralized Admission Process will be organized by DTE, Maharashtra. Candidates have to carry original documents in MAH CET Counselling for verification. They also have to fill their choices and on the basis of their choices, Reservation, Rank/Merit List, Seat will be allotted to them. After it, they need to report to the allotted college for further Admission Process.